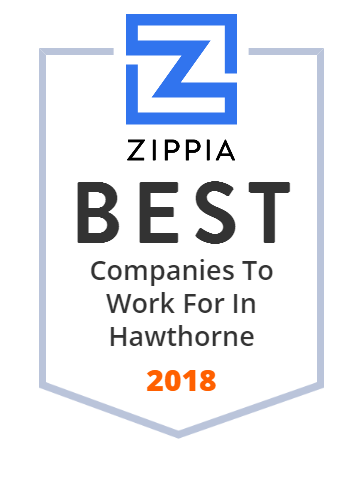 We hand-curated a list of the best companies to work for headquartered in and around Hawthorne, CA using data on salaries, company financial health, and employee diversity. The Resource Collection, Inc. provides facilities maintenance services to businesses in the United States and Canada. The company provides building maintenance services, including janitorial, day porter, hard surfaced floor reconditioning and refinishing, and lighting maintenance; carpet cleaning, repair, and replacement services; and drapery and blind cleaning, repair, and installation services. It also provides landscape management services, such as landscape installation, design, maintenance, hardscapes, water management and conservation, sprinkler installation and repair, drip irrigation systems, tree trimming, arborist services, and horticultural services; and security services. In addition, the company provides parking lot sweeping, day porter, steam cleaning, slurry coating and striping, degreasing, painting curbs, trash and debris pick-up, concrete repair, and replacement services; green and day cleaning services; and graffiti services, such as graffiti removal, wet sand blasting, chemical removers, paint-out, and glass replacement services. Further, it offers interior plant services, including plantscape installation, design, leasing sales and rental, maintenance, renovation, interior irrigation systems, containers and baskets, flower programs, specimen plants, and tropicals and exotics; and pressure washing services for architectural assets, such as brick, cement, tile, stone, wood, stucco, asphalt, marble, sandstone, and painted surfaces. Furthermore, the company provides cleaning, repair, and maintenance services for windows, awnings, gutters, mullions, and other architectural components; and handyman services, including inspection, assessment, design, installation, assembly, refreshing, repairing, remodeling, and preventative maintenance programs. It also offers restoration services, such as metal refurbishing, stone restoration, tile sanitation, and waterproof caulking. The company was founded in 1962 and is based in Hawthorne, California.